How to get a Google Voice Phone Number Outside U.S. The free Google Voice service lets you can send text messages and place calls to regular phone numbers from the computer or your mobile phone. How to Get Google Voice outside the U.S.? There are however some simple workarounds that will help you enable Google Voice from anywhere outside the USA. I activated Google Voice from India but the same procedure should work with other countries as well. Step 1: Get a US Phone Number. This process should not take more than five minutes. Step 2: Download and install Hotspot Shield (make sure you decline the optional toolbar). 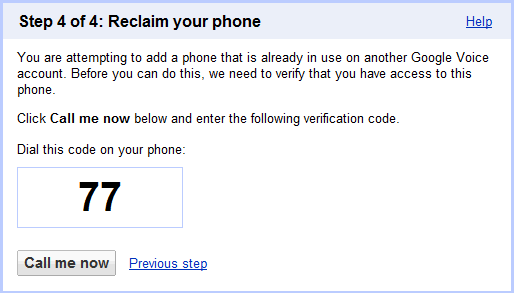 This is required because you can’t sign-in to Google Voice from a non-US I.P. address. [*] Hotspot Shield may insert audio ads in websites which are annoying but the reason I recommend it is because the software requires no configuration and you can easily disable it with a simple right click. Step 3: Start Hotspot Shield, if it’s not already running on your system, and then visit IP2Location to confirm that your location is listed as “United States.” If not, disconnect your current Hotspot Shield session and reconnect to get yourself a new IP Address. Step 4: Launch the Express Talk softphone software (you may have previously downloaded this software for activating your local US phone number). Step 5: Open voice.google.com in your web browser and sign-in with your Google account. If you get an error message saying – “Google Voice is not available in your country” – clear your browser cookies and try again. 5a. 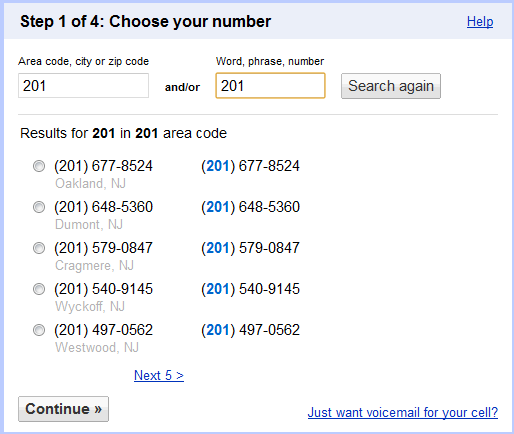 It’s time to pick a Google Voice phone number. You may enter a US area code and some word to get a memorable phone number or pick one from the available choices. 5b. Enter a four digit pin for voicemail, accept the Terms and continue. 5c. In the next screen, input your local US number that will ring when someone dials your Google Voice number. 5d. Click Call Me Now. Google Voice will call your local number and this should ring the Express Talk software. Enter the confirmation code using the dial pad of Express Talk and once it is verified, your Google Voice phone number is ready for use. Next steps – You may download the Google Voice App on your iPhone /Android or access it directly via m.google.com/voice if you have an unsupported mobile phone. Tutorials sms Get Google Voice from Outside the U.S.